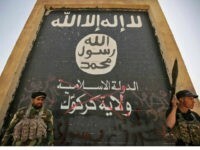 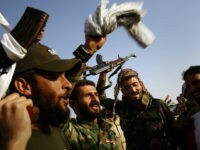 U.S.-supported Iraqi government troops and Iran-allied Shiite militiamen have reportedly retaken the “last” Islamic State (ISIS/ISIL) bastion in northern Iraq, marking the latest sign that the jihadist group’s so-called caliphate in the region is dwindling. 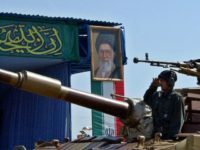 Tehran has reportedly deployed dozens of artillery-backed tanks and its powerful Islamic Revolutionary Guards Corps (IRGC) to link up with Iran-allied Shiite militias at the Iraqi Kurdistan border in response to the Kurds overwhelmingly voting in favor of independence from Iraq last Monday. 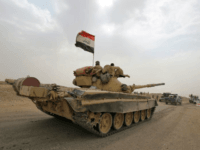 The U.S.-backed Iraqi military has reportedly announced that it plans “to coordinate military efforts” with neighboring Iran, considered by the American government to be the leading state-sponsor of terrorism. 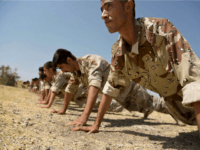 The next time post-Islamic State (ISIS/ISIL) Iraq descends into war will be linked to the Baghdad-sanctioned Popular Mobilization Forces (PMF), an umbrella group of predominantly Iran-backed Shiite militias, an Iran analyst during the 2017 Aspen Security Forum. 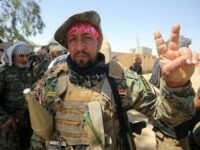 The Kurds in northern Iraq have accused the Popular Mobilization Units (PMU), a Baghdad-sanctioned umbrella organization largely made up of Iranian-backed Shiite militias, of carrying out an “Arabization” campaign in the disputed Kurdish areas in the region. 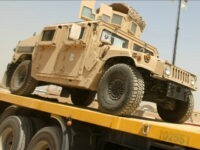 The U.S. Army has lost track of more than $1 billion worth of weapons and other equipment destined for local allies combating the Islamic State (ISIS/ISIL) in Iraq, including an Iran-allied group of Shiite fighters, reveals a report.